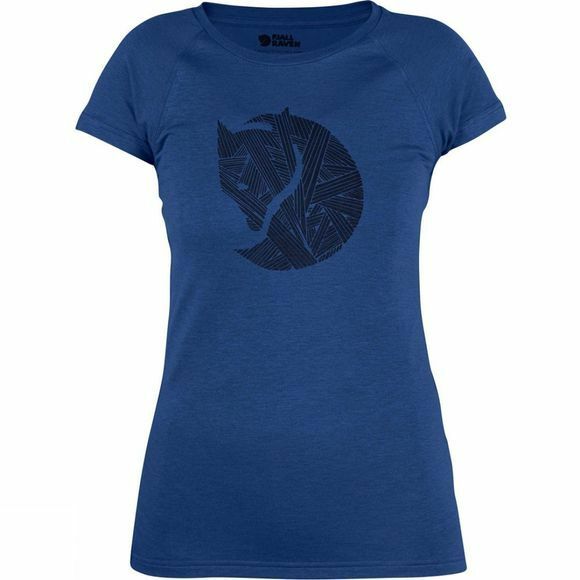 The Womens Abisko Trail T-Shirt from Fjallraven is made in a cool functional fabric made from wool and tencel. A practical and easily cared for garment for trekking and travelling in warm climates, where the wool transports moisture away from the body and resists bad odours, while the tencel makes the garment drape well and feels comfortable against the skin. Well-fitting, feminine cut with wide neckline and raglan sleeves. Printed with the Fjällräven logo on the front. Narrow, flatlock seams minimise the risk of chafing.